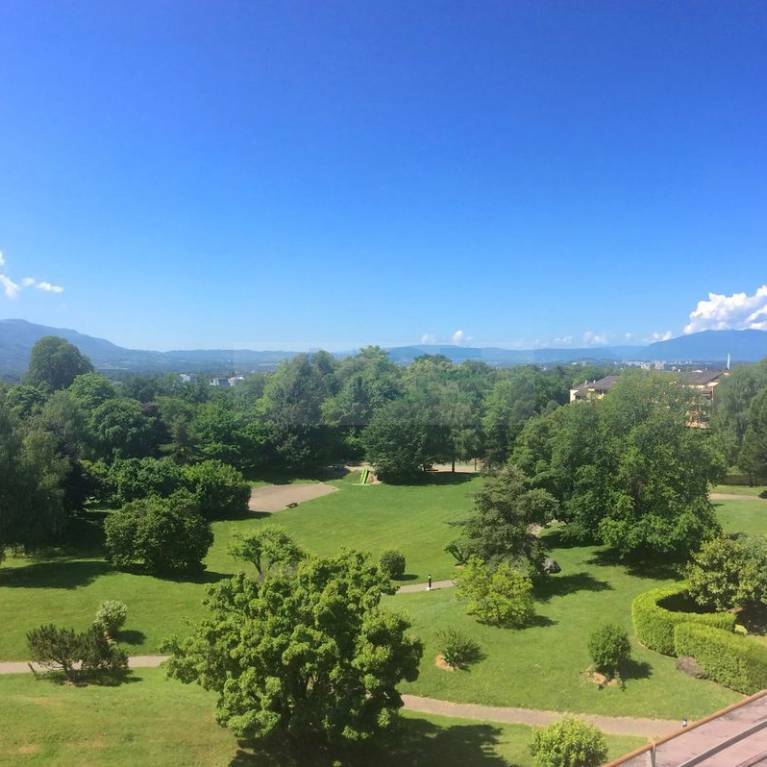 COLOGNY: This beautiful apartment of 220 m2 is located in a beautiful residence surrounded by park. The property offers spacious rooms with many possibilities of development. Up-to-date restoration work is to be expected. ORIENTATION: Southwest with magnificent views of the Alps and Mont Blanc. > The apartment opens onto a large entrance hall with storage and guest WC serving on the right the day part, and on the left the night part. > The day area offers a large living room with dining area, fireplace, balcony and terrace. A beautiful staircase leads us to a large mezzanine duplex of 73 m2. The kitchen, with its dining area, is adjacent to the living room. > The sleeping area consists of three beautiful bedrooms with storage, one with balcony, a bathroom with toilet and a shower room. > Two parking spaces in the basement and a cellar complete this property. 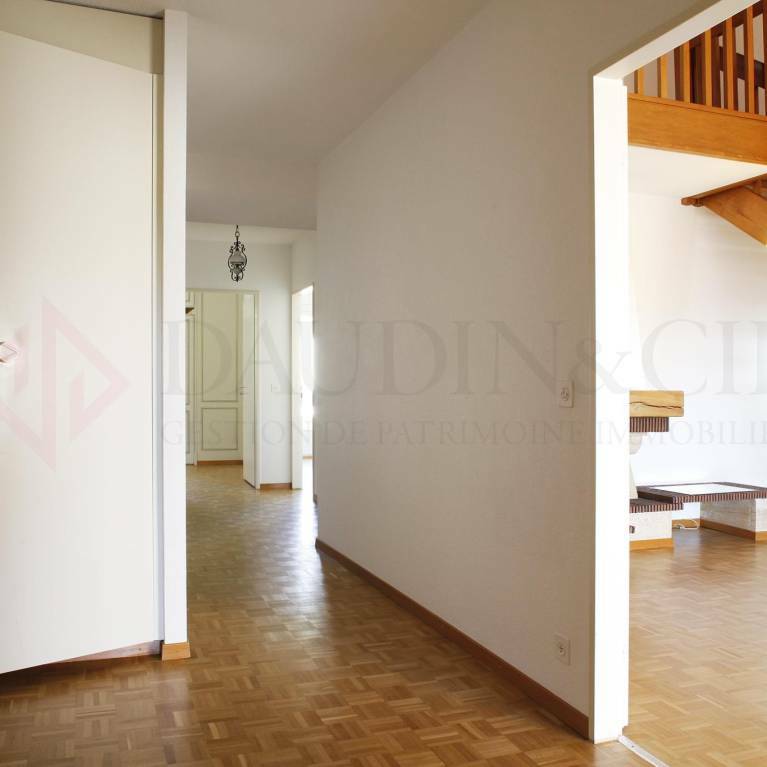 Located in a private complex, this rare duplex for sale offers 175m2 attic. The apartment consists of a nice living room with fireplace, a dining room, a nice balcony, 4 bedrooms, 3 bathrooms and an entrance hall. 2 cellars and 2 parking spaces adorn this rare property for sale. Photos and additional information on request.